Michael Oike maintains a busy and fulfilling musical life in his hometown of Winnipeg, Manitoba. He began his piano studies there with Alice Nakauchi and Sydney McInnis, and with Boris Lysenko at the Royal Conservatory of Music and University of Toronto where he was awarded the Forsythe Award as the outstanding graduating pianist. Michael was very fortunate to have worked with the renowned pedagogue Jeaneane Dowis, covering both the solo and piano chamber repertoire at her New York City studio and twice as a fellowship recipient at the Waterloo Festival held at Princeton University. Michael has a special affinity towards the vocal art song field and has worked with the highly regarded vocal pianists Rudolf Jansen and Martin Isepp. 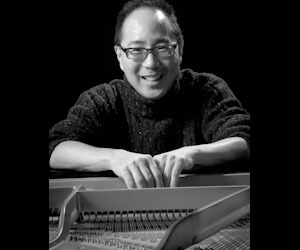 Michael currently maintains a private piano teaching studio at the Manitoba Conservatory of Music and Arts (MCMA), conducts workshops and master classes, and is heard in performances of chamber music and as vocal/instrumental accompanist. For over twenty-five years, Michael has adjudicated at music festivals provincially and nationally across Canada, where he greatly enjoys working with students of all levels. Away from his music, Michael enjoys golfing, curling, downhill skiing, NFL football, and is continually tinkering to make the perfect butter tart, blueberry or apple pie and refine his sushi making skills.